Area code 778 was put into service. Area code 778 is an overlay of area codes 604 and 250. In 2008 the overlay pattern was expanded to cover all of area codes 604 and 250. 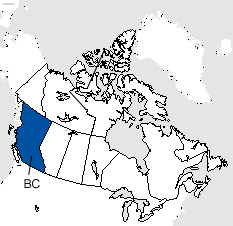 Area code 778 serves all of British Columbia except the lower mainland. Area code 236 was put into service as an overlay of area codes 250, 604, and 778 on 06/01/2013 and mandatory 10 digit dialing is required. Area code 672 has been approved as a distributed overlay of area codes 236, 250, 604, and 778 with an implementation date of 05/04/2019. Ten digit dialing (area code + seven digit number) is necessary in the 604/778/236 and 250/778/236 overlays because two different homes in the same geographic area can have the same seven digit phone number but each would have a different area code. Area codes 250, 778 serve the larger communities of Campbell River, Cowichan Valley, Dawson Creek, Fort St. John, Kamloops, Kelowna, Nanaimo, Prince George, Prince Rupert, Quesnel, Terrace, Victoria, Vernon, and Williams Lake, along with many smaller communities in the area code 250 and 778 service area. Area codes 604 and 778 serve southwestern British Columbia including the larger communities of Abbotsford, Aldergrove, Burnaby, Chilliwach, Langley, New Westminster, North Vancouver, Port Coquitlam, Port Moody, Powell River, Richmond, Surry and Vancouver along with many smaller communities in southwestern British Columbia.